Glen Walter Foster, 69, of Harvey, Arkansas (formerly of the Township of Richfield, Adams County, Wisconsin) died on June 5, 2018 at his home on the Arkansas family farm, two months before his 70th birthday. Glen was born August 4, 1948, the second son of Marion and Waleta (Jost) Foster of Richfield Township, Adams County Wisconsin. He was a graduate of Adams-Friendship High School, Wisconsin Rapids Tech, and The University of Wisconsin – Platteville with a degree in business. He was a manager at Woolworths in Green Bay, WI until the death of his older brother Freeman in 1973. He then returned to the family farm near Coloma, WI and in 1984 moved to continue to help his parents farm in Arkansas near Harvey, where he resided until the time of his death. He maintained his membership at the South Burr Oak Church throughout his life as well as other connections to the South Burr Oak community. Glen was a talented cartoonist and woodworker in his youth and an excellent welder and mechanic as an adult. He devoted his life to caring for his parents and keeping their farm well-maintained. For many years he did the mechanical work on the fleet of trucks owned by his best friend and neighbor David Williams, as well as helping many in the neighborhood repairing whatever they needed to have fixed. Glen was preceded in death by his parents, Marion and Waleta Foster, and his older brother Freeman. He is survived by cousins, neighbors, and special friends David and Carolyn Williams. A funeral service was held in Arkansas on June 10, 2018 at the Gravelly United Methodist Church. A memorial service will be held in Wisconsin at 2:00 p.m. on Saturday, September 29, 2018, at the South Burr Oak United Methodist Church, Town of Richfield, Adams County. Pastor Candice Lisiecki will officiate. Visitation will be from 1:00 p.m. until the time of service on Saturday at the church. Private inurnment for the family will be at the South Burr Oak Cemetery, Richfield Township. 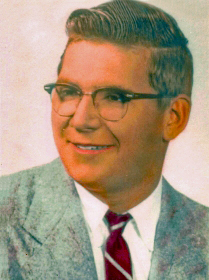 In lieu of flowers, any memorials will be added to the Glen Foster Scholarship Fund for the purpose of providing scholarships to students in Scott County, Arkansas. Roseberry’s Funeral Home is assisting the family with the local arrangements. My family moved onto the same street as Glen’s grandparents 65 years ago. I quickly adopted them as grandparents, they began to take me to South Burr Oak, and Glen and Freeman became friends, cousins if you will. We attended different elementary schools, but were at the same high school and Mid State Technical Institute. Glen and I stayed in contact and occasionally ran into one another thru the years. He was a fine fellow and will surely be missed by myself and many others.